The Cincinnati Bearcats and the Central Florida Knights will meet on Thursday when they battle at CFE Arena. This matchup should be a close one and will have major implications on the AAC Conference Tournament and possible NCAA Tournament seedings for both teams. Central Florida took down the top team in the American Athletic Conference, they also had the best record in the nation, on Saturday as the Knights upended then-No. 8 Houston 69-64. UCF returns home looking to repeat that success on Thursday when it faces No. 19 Cincinnati. The Bearcats benefited from that big Knights win as the Bearcats moved into a tie with Houston atop the conference after defeating Memphis 71-69. The Knights have been making noise all season and they sit in third place in the American. Their road victory at Houston, which came in with the longest home winning streak in the nation (33 games), could be the one that catapults them into the NCAA Tournament. They would make the tourney for the first time in 15 years. The Knights have won three in a row. Their last loss came against these Bearcats two weeks ago (60-55). Cincinnati retained its hold on this rivalry with 11 wins in the 12 all-time meetings. UCF’s lone victory (53-49) came over a ranked Bearcats squad in 2017. The Bearcats are aiming for back-to-back league championships for the first time since 2001 and 2002 in Conference USA and it could come down to the regular-season finale on Sunday at home against Houston. The Cincinnati Bearcats are 25-4 overall and 14-2 in the American Athletic Conference. The Bearcats continue to win the tight ones. Their last four games have been decided by five points or less, including the win over UCF, and 11 overall for the year. Guard Jarron Cumberland remains one of the top players in the nation. He comes off a 26-point performance against Memphis, giving him 14 20-point games this season. The Knights held him to 11 points in the first meeting. Cumberland (41.1) is second in the conference in 3-point shooting percentage. He is tbehind teammate Justin Jenifer (43.8), who has hit 27 of his last 60 attempts from deep over his last 11 games. 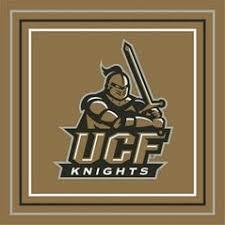 The UCF Knights are 22-6 overall and 12-4 in the AAC. Guards B.J. Taylor and Aubrey Dawkins each scored 11 points against Houston. Big men Collin Smith and Tacko Fall took charge, combining for 34 points and 17 rebounds. Smith totaled a season-high 21 points and seven boards while Fall produced his fifth double-double (13 points, 10 rebounds) of the season. Cincinnati contained Fall in the first meeting. They limited the 7-6 center to just seven points and four rebounds. Dawkins was the high scorer with 18 points, 15 in the second half. This is the final home game for Fall and Taylor. Taylor has led UCF in scoring the last three seasons and now has a team-high 16.3 points per game to rank ninth in the conference.